This article is part of a series covering the good and the bad of our actions as a company. Everything we do has an impact on the planet. 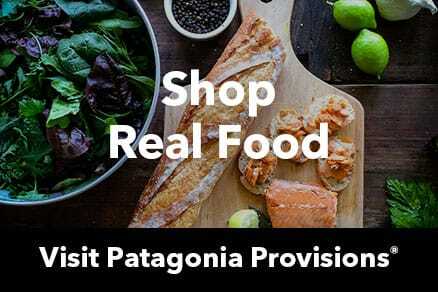 The first part of Patagonia’s mission statement reads “Build the best product, cause no unnecessary harm … ,” but this goal is a work in progress that will never be finished. We must know our impact, constantly question our practices and keep pushing hard for better ways to do business. And through articles such as this one, we aim to help our customers become more informed participants as well. It is remarkably hard to reduce the environmental impact associated with our technical gear, especially our shells. Unlike other products we make, a shell is a lifesaving piece of equipment that absolutely must perform in the world’s worst weather. Unfortunately, to meet that standard of functionality we rely on fossil fuels. While Patagonia continually searches for alternative materials and processes, our environmental ambitions still outstrip current shell technology. The nylon and polyester polymers we use in our technical shells—which we also use in some of our other products—are neither infinite nor sustainable and the DWR (durable water repellent) finish we apply to our technical shells is potentially toxic to the environment. In addition, the extraction of the fossil fuels required to produce these materials contributes to climate change. So as long as we continue to use nonrecycled materials to create our shells, we are contributing to climate change. This is not something we can ignore. 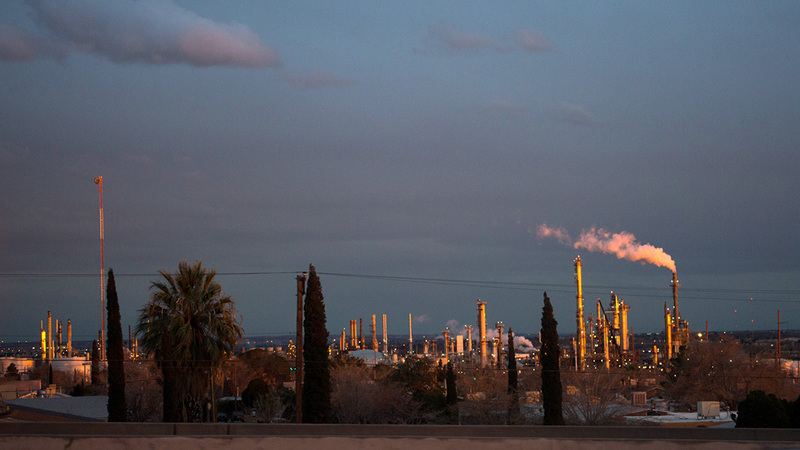 Our average global temperature is rising. The last number reported by NASA in January 2014 was .68 degree Celsius above preindustrial levels. Most scientists agree if we surpass a 2 degree Celsius (3.6 degree Fahrenheit) increase, life on the planet will fundamentally change. We are almost halfway there. 2014 ranked as the warmest year on record since 1880, according to an analysis by NASA scientists. This time-lapse video shows a series of five-year global temperature averages, mapped from 1880 to 2014, as estimated by scientists at NASA. The change that occurred in just the 30 years between 1984 and 2014 is especially astonishing. Our planet has already experienced real impacts due to climate change as we sprint toward the 2 degree Celsius increase in temperature—but we may not have seen the worst of it yet. Oceans are warming, ice sheets are shrinking, Arctic sea ice is declining, glaciers are retreating, snow cover is decreasing, the ocean is becoming more acidic and, perhaps most concerning to humans, extreme weather events are more frequent and more intense. Most species alive today have never lived on a planet this warm, and there is mounting evidence that this alarming rise in temperature is due in large part to human dependence on fossil fuels—like the fossil fuels we use in our products. We’re part of the problem. A recent report in the journal Nature identifies different regions of the world where fossil fuels should not be extracted if our planet’s temperature is to remain below the 2 degree Celsius mark. But fossil fuels like those that end up in our jackets are commodities, and despite Patagonia having a much deeper knowledge of our supply chain than most companies in our industry, we still have no way to know where those fossil fuels were extracted. As a result, we can’t say how much damage we cause with each jacket we make with nonrecycled polymers. What we do know is that making them at all contributes to climate change and moves the planet closer to the temperature tipping point. 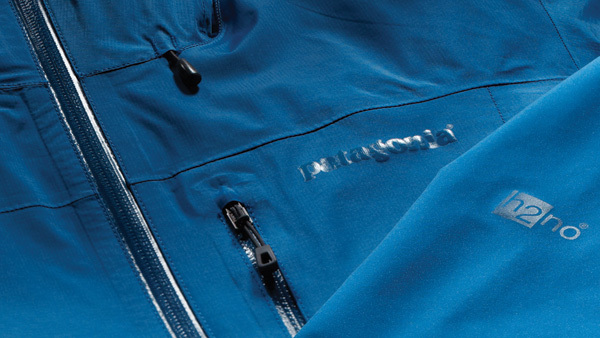 Patagonia’s technical shells are wearable equipment. Each is the result of a design process driven by principles of functionality, reliability, durability, quality and simplicity. Our shells are built with proven durable materials like GORE-TEX® and H2No® Performance Standard fabrics. They undergo rigorous field-testing, multiple iterations and must survive our 24-hour Killer Wash, a process that simulates years of hard use and abuse in a short period of time. Our customers know and rightfully expect that their Patagonia shell will keep them critically protected from the elements for many years before they need to replace it. Any product that holds up for a long lifetime of hard work and wear represents substantial savings in raw materials and energy that would otherwise be required to make a greater number of shorter-lived products. Furthermore, in most parts of the world, these short-lived products end up either in landfills or incinerators sooner than more durable ones. In 2012, in the U.S. alone, the incineration of synthetic fibers resulted in 1.1 MMT (million metric tons) of CO2e (carbon dioxide equivalents) emissions, while textiles in landfills contributed a net 8.5 MMT CO2e that year. (Carbon dioxide equivalents is a number that accounts for all greenhouse gases that are emitted). Patagonia wants to model and demand from others unqualified transparency in today’s business world. It is difficult for any company to make good raw-materials choices when its sources are not readily known. To reduce our shells’ contribution to climate change, our best option at this point is to buy recycled-content fabrics and to continually find new ways to recycle our products at the end of their life and keep them out of traditional disposal methods. To address this challenge without losing the durability that represents the “good” of our shells conundrum, we've tried all sorts of alternatives to fossil fuel-based shell fabrics by developing fabrics from recycled polyester. But recycled nylon is still less durable, heavier, and harder to obtain in quantity—so we still find ourselves relying on virgin nylon for its durability. Is this the right decision? Is it possible to quantify all the details needed to understand if this is the best choice?